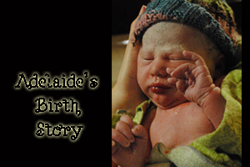 Addie's first birthday was back in November - so like any good mom blogger, I am finally writing about it two months later! 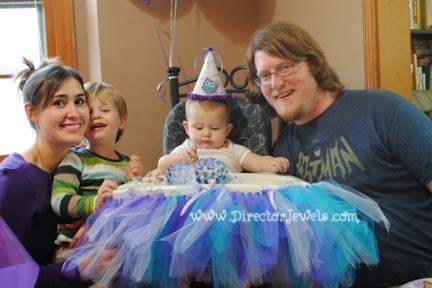 We planned her party a few days after her birthday, so we were able to enjoy the day with her without being too stressed out about party details! Picking out a birthday party theme for her was tough, but I was inspired by all of the cute owls I kept seeing on Pinterest! I went with a rather unconventional color scheme, which meant custom making most of the details, but I'm so pleased with how it turned out. I definitely took on some projects that were much bigger than my Mickey Mouse party decorations, but I think it was worth it. 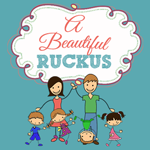 Fair warning: this is a photo-heavy post! When I party plan, I love to wrap everything up in the theme. 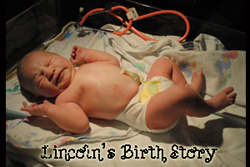 I made a party hat for Lincoln's first birthday, so I knew Addie would have to have a special hat as well. 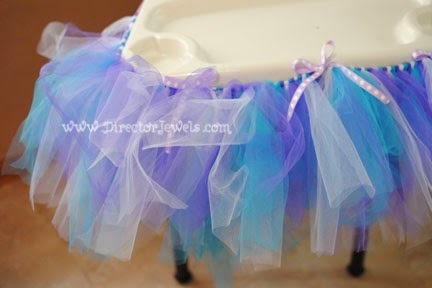 The tutu skirt was one of my favorite pieces of the party decor. I managed to salvage it before she smashed too much cake into it - I'm planning to re-make it for her when she's old enough for a dress-up collection. 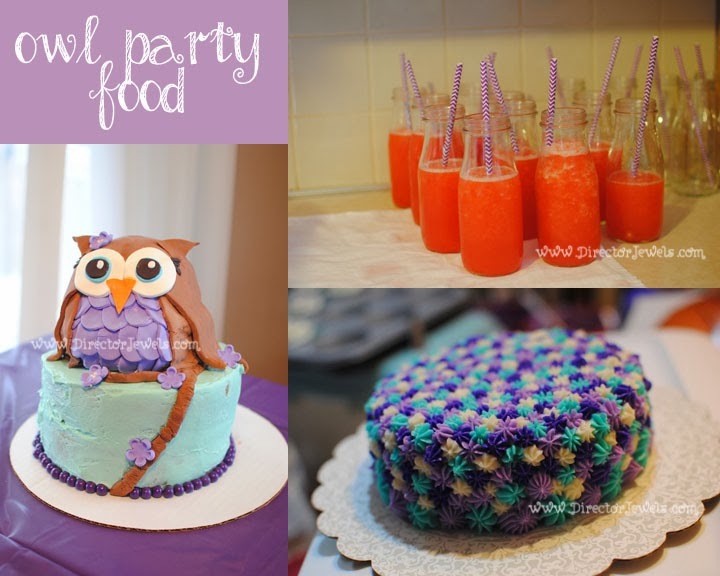 But perhaps my favorite thing about her party was her beautiful, amazing, wonderful owl cake! My friend Stephanie is far more talented than I when it comes to baking and decorating, and she volunteered her services for a day so that we could create this masterpiece. I'm still just thrilled with how it turned out. The morning of the party, Addie was not feeling well at all - which meant that a lot of my last-minute food ideas and table decorations did not get finished as planned. 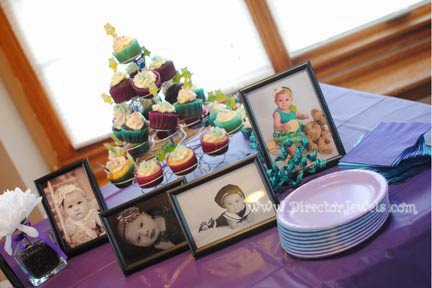 While I should take this as a lesson in why it is unwise to procrastinate, I will likely continue to do so and will just be grateful that I had lots of photos to display on her party table. 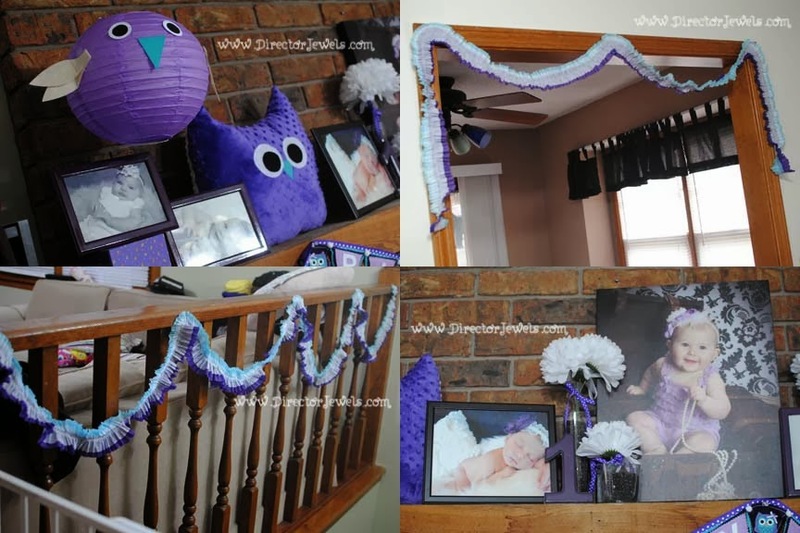 I had intended on making more streamers and paper owls to include with the frames. This would have likely been easier if I had gone with a more traditional party color scheme. She ended up perking up right as the party started - thank goodness. I guess she must have been teething, but I actually came very close to calling everyone and cancelling the whole affair. 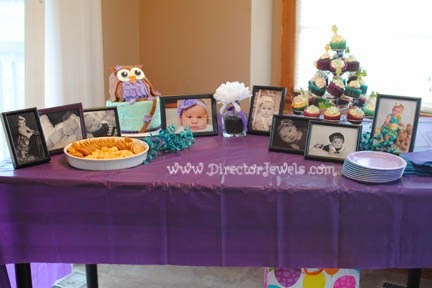 Here are a few photos from the party - followed by more detailed pictures of our owl decorations! 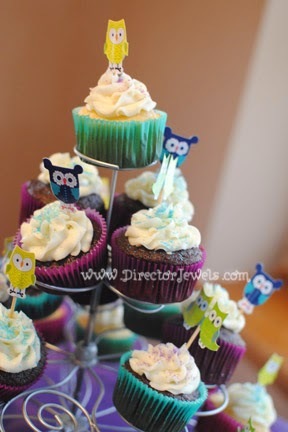 I snagged these fun owl cupcake picks at Michael's sometime last spring. I think they were in the value section. 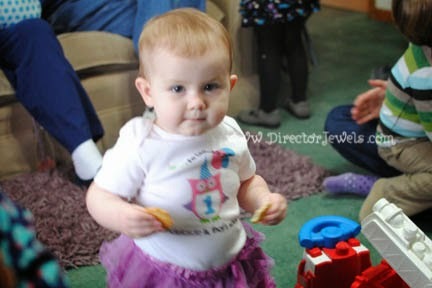 After some cracker-and-cheese snacking, Addie was a little more excited about her party. 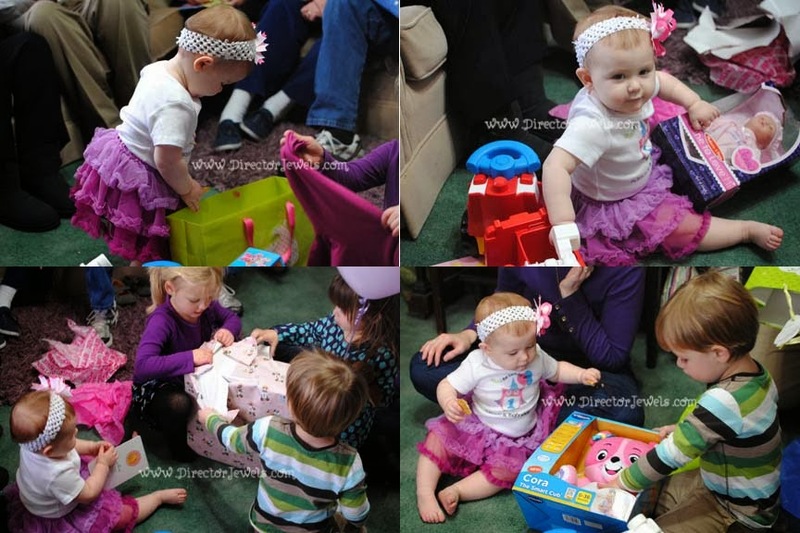 Gift opening was intriguing to her, and she had lots of help from her big brother, cousin, and friend. I love this photo series. Look at her little faces! And the clapping hands! Precious. After gifts, we headed into the kitchen for her smash cake. While Stephanie was slaving away over the shaped owl cake, I was hand piping this masterpiece. Um, it took forever. But isn't it seriously adorable? I had originally planned to only do one shade of purple, teal, and white - but ended up using lavender as well and it turned out so cute. I used a #21 tip to pipe all the stars except the bottom row. The big kids were pretty excited for us to cut the big cake. Unfortunately, in the chaos of her being sick right before the party, we completely forgot to take her smash cake out of the fridge so her first cake experience was kind of like trying to break open an ice cube. She was persistent. I think it was safe to say she enjoyed it. 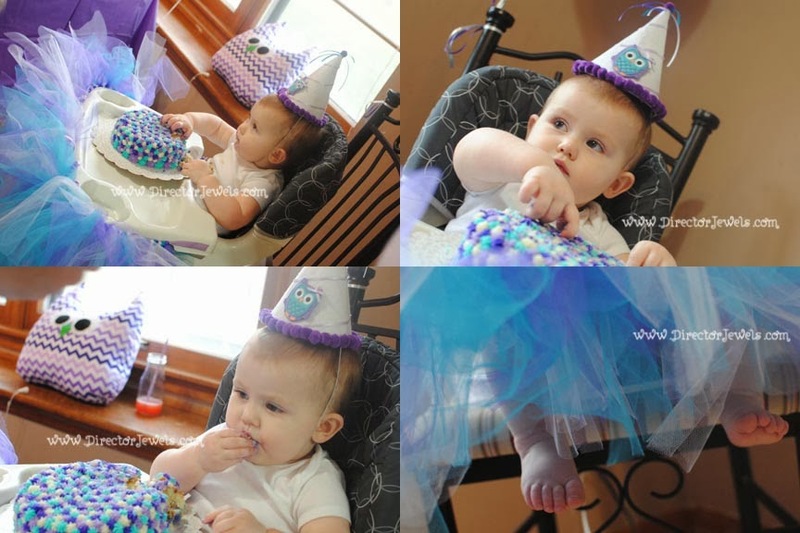 I'm still dying over that high chair tutu. I kind of want to leave it on there forever. I'll share more about the decorations in later posts, but here are some overall photos. 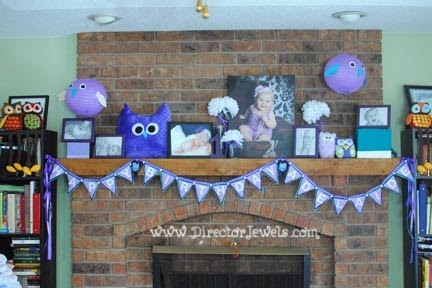 I collected owls for months to use as part of the decor, and even sewed the big plush ones myself. Her banner was one of my favorite elements of the party. It's made of felt and ribbon. I really loved how the ruffled crepe paper streamers turned out, too. I found a tutorial at Dana Made It and they were soooo easy to make! The punch recipe we tend to go with is called Luscious Slush Punch - but this year, we thought it was really overly sweet. We may be seeking a less sugary drink for future parties! 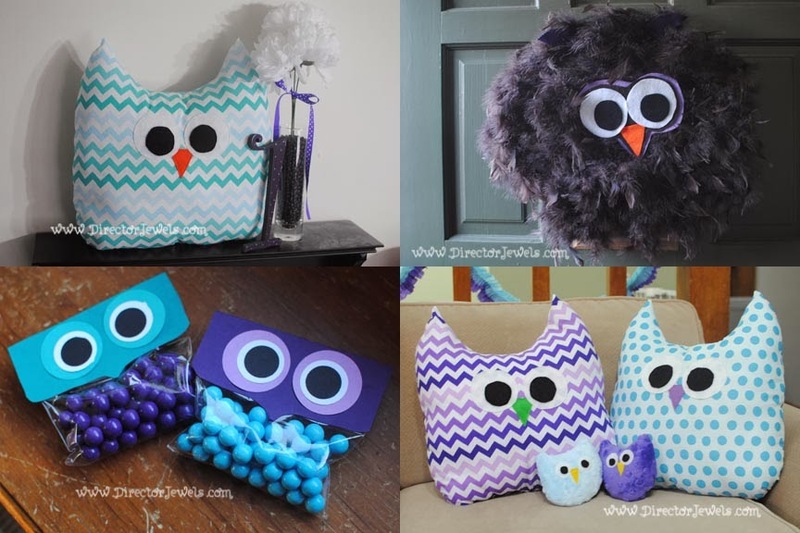 More handmade party details - there were quite a few plush owls that I sewed scattered around the rooms. The big ones are currently listed in my Etsy shop, and the little ones were handed out (along with the color-coordinating candy owl bags) as party favors. The front door wreath did not turn out quite as I had hoped, but I still think it was pretty cute. 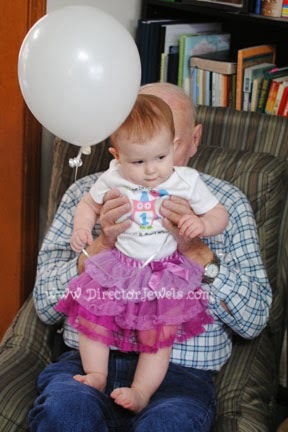 We added some balloons and lots of photos of Addie's first year and it was a pretty adorable party overall. At least, I thought so. And the birthday girl enjoyed herself, which was the important thing. 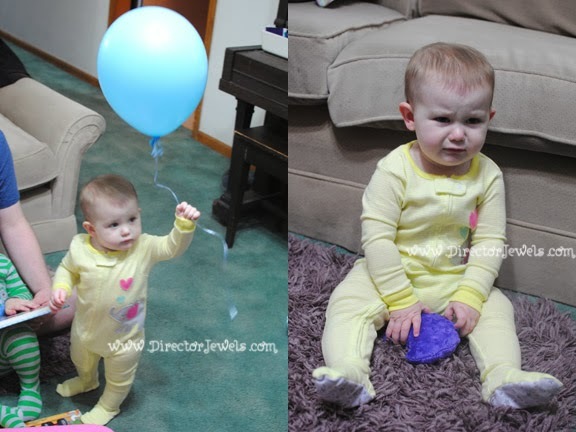 Although she was a little grumpy later that evening when her big brother stole her balloon! Hope you enjoyed the photos from our Owl party! 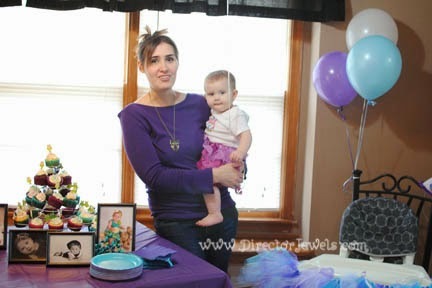 Wow, what a beautiful 1st birthday party! 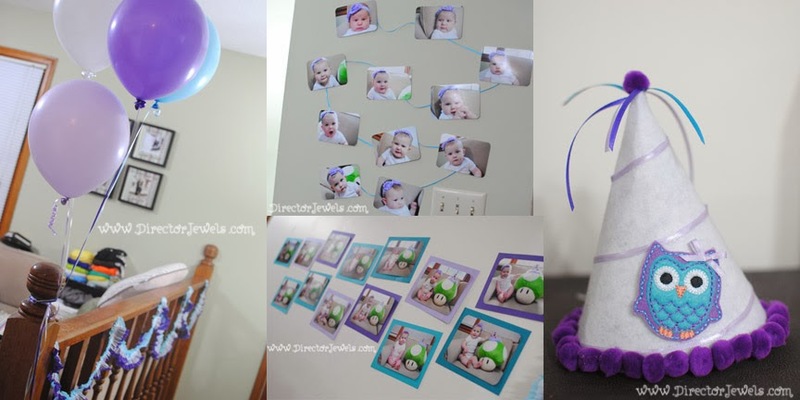 I pinned it, because it offers some great party ideas! And, Happy Birthday!!! SO CUTE! 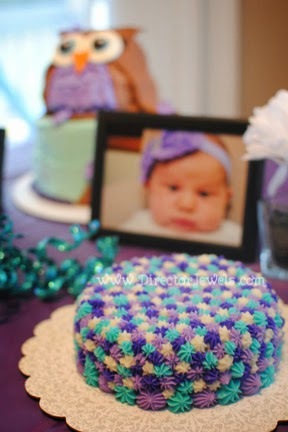 I love the colors and that CAKE!! That is such a beautiful theme. I love owls, too! Plus, I love turquoise and purple - such a great color combination. 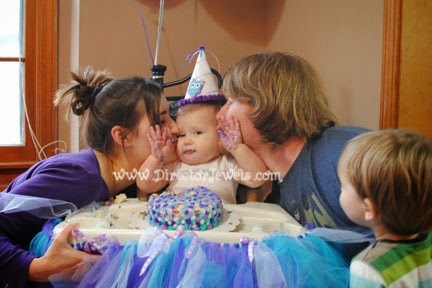 What an adorable party and I loved the photo of you guys kissing her and she has her frosted hands by your faces. SO cute! So stinking cute! I love every last detail!!! The smash cake is precious. I haven't tried making a pinata yet! That'll be a new challenge on my list for future parties. Love the theme and color combos. Just pinned this to my unique parties board. Love it!! The cakes & owl pillows are ADORABLE! I love it all, but those are my favorite parts! LOVE the owl theme and the cake. SUPER cute! Wow everything turned out SO CUTE! 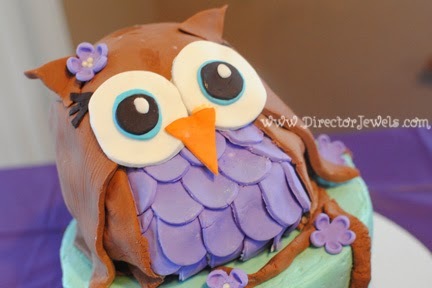 I love the owl cake! Thank you! I kind of wanted to keep that owl cake and just look at it forever. Everything is SO cute! I love the color combo & the owl theme is so fun. Oh my goodness that is all so dang cute! 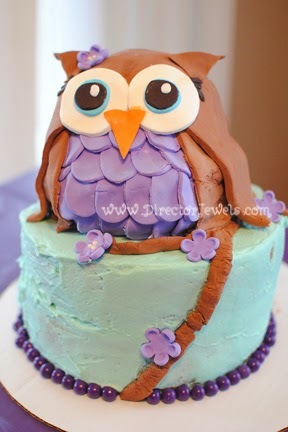 The purple owl cake is AH-Mazing!!!! Love the owl theme. My oldest daughter loves owls and we'll be doing that them for her .... only she'll be 24 lol but she'll love it! Owls are great for ANYBODY! What an adorable birthday party. I'm so fond of anything owls right now. 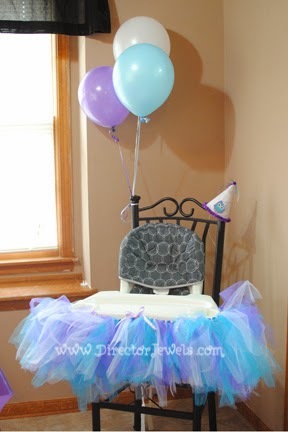 Love the cake and adore the tutu around the chair, adorable! The tutu is my favorite part, I think. Very cute birthday party! I love the color scheme! Nice job. That is such a gorgeous cake! Amazing! and your girl is way cute! Love this! How did you make her hat? Hi Ashley! 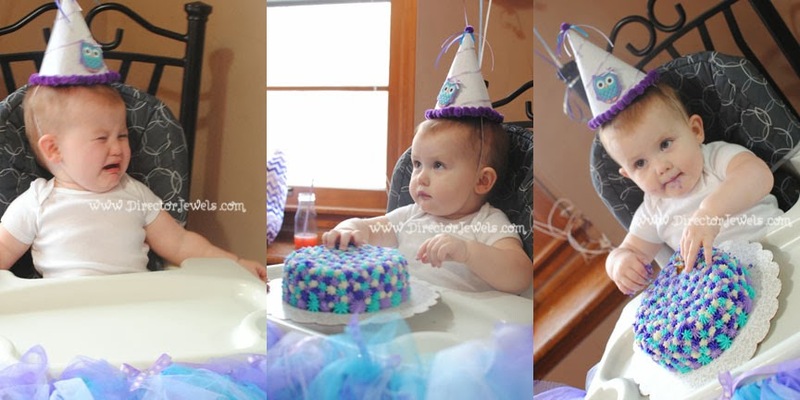 I took apart a cheap paper party hat to use as a template, then cut Addie's from thick felt, hot glued it together and added the decorations (pom-poms, ribbon, and owl feltie). I don't have a tutorial for it up at this time - one of these days, maybe!